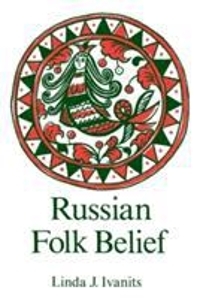 Russian Folk Belief 0 Edition A scholarly work that aims to be both broad enough in scope to satisfy upper-division undergraduates studying folk belief and narrative and detailed enough to meet the needs of graduate students in the field. Each of the seven chapters in Part 1 focuses on one aspect of Russian folk belief, such as the pagan background, Christian personages, devils and various other logical categories of the topic. The author's thesis - that Russian folk belief represents a "double faith" whereby Slavic pagan beliefs are overlaid with popular Christianity - is persuasive and has analogies in other cultures. The folk narratives constituting Part 2 are translated and include a wide range of tales, from the briefly anecdotal to the more fully developed narrative, covering the various folk personages and motifs explored in Part 1.